The Medal of Honor is the United States of America's highest military honor, awarded for personal acts of valor above and beyond the call of duty. It is presented to those who distinguish themselves by an outstandingly exceptional term of servie far beyond those of his or her peers. The individual should have contributed an extraordinary amount of dedication and work to the U.S. Navy whtether in peace or in war. Device: Valor device denotes additional awards. The Navy Cross may be awarded to any member of the U.S. Department of Defense while serving with the United States Navy, who distinguishes himself or herself in action by extraordinary heroism not justifying an award of the Medal of Honor. The act(s) to be commended must be perform in the presence of great personal risk and must be perform in such a manner as to render the individual highly conspicuous among others of equal grade, rate, experience or position of responsibility. Device: Gold and Silver Star devices denote additional awards. The Silver Star is awarded for gallantry not justifying the award of the Navy Cross. The gallantry displayed must have taken place while in action against an enemy of the U.S. Navy while engaged in military operations involving conflict with an opposing force, or while serving with friendly foreign forces engaged in an armed conflict against an opposing armed force in which the U.S. Navy is not a belligerent party. Device: Bronze and Silver Oak Leaf devices denote additional awards. The Bronze Star is awarded for gallantry not justifying the Silver Star. It is awarded to those who have performed in special operations will gallantry and have distinguished themselves at a higher level of performance to those of their peers. The Purple Heart is awarded to any member of the Armed Forces of the United States, who wile serving under competent authority in any capacity with one of the branches of the U.S. Navy has received a ban of any type. 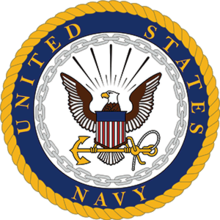 The Navy Presidential Unit Citation is awarded in the name of the President of the United States to units of the U.S. Navy that have committed an extraordinary high amount of time and work into their unit. Awarded to all members of the specified unit at the time of the operations peak. Device: Sold and Silver Star devices denote additional awards. The Defense Distinguished Service Medal is awarded only while assigned to a joint activity. Normally, such responsibilities deserving of the Defense Distinguished Service Medal are held by the most senior officers such as the Chief and Vice Chief of Naval Operations, Commanders and Deputy Commanders of the Combatant Commands and OPNAV, etc, in addition, the medal may also be awarded to other service members whose direct and individual contributions to National security or National defense are recognized as being so exceptional in scope of value as to be equivalent to contributions normally associated with positions encompassing broader responsibilities. The Navy Distinguished Service Medal is bestowed upon members of the Navy who distinguish themselves by exceptionally meritorious service to the U.S. Navy in duty of great responsibility. To justify this decoration, exceptional performance of duty must be clearly above that normally expected, and contributes to the success of a major command or project. The Defense Superior Service Medal is awarded to members of the U.S. Navy who have rendered superior meritorious service while serving in a position of great responsibility. This service must be as part of a joint activity. Service members assigned to or attached to a Joint Task Force as individuals not members of a specific military service's unit, can be eligible for the DSSM. The Legion of Merit is awarded to members of the U.S. Navy, awarded without reference to degree. It is awarded for exceptionally meritorious conduct in the performance of outstanding services and achievements. The performance must have been such as to merit recognition of key individuals for service rendered in a clearly exceptional manner. The Meritorious Service Medal is awarded to personnel who have distinguished themselves to an extraordinary high degree of service in their work among their peers; should consistently show leadership and expertise not only in their own departments, but in HQ as well and who are members of an MOS will be awarded a Meritorious Service Medal, unless a person without a MOS has performed to a higher degree than all service members. The Navy Commendation Medal is a mid-level U.S. Navy decoration which is presented for sustained acts of heroism or meritorious service. For valorous actions in direct contact with an enemy force, but of a lesser degree than required for the Bronze Star Medal. The Naval Achievement Medal is awarded to personnel who have distinguished themselves to a respectable degree in their work among their peers beyond that minimally required of them. In addition, awarded to personnel who have distinguished themselves far beyond their peers in HQ work including recruiting, training, sentrying and act as the CoG or OOD. Awarded for the same stipulations as outlined in the Joint Service Commendation Medal but to an exceptionally higher degree and for notably longer term of service. Awarded for two different occasions. (1) Awarded to those members who actively and willingly participate in two MOS for an extended period of time. Awarded to Sailors upon completion of a successful Recruit Division Commander tour of duty; additional devices awarded based upon the number of Recruits trained throughout your tour. Device: Bronze device denotes 50 trained recruits. Gold device denotes 100 trained recruits. Silver device denotes 150+ trained recruits. Awarded to all Sailors ranked Petty Officer First Class and higher for their commitment to the United States Navy. Device: Bronze and Silver Star devices denote additional awards. Awarded to all personnel ranked Petty Officer Third Class and higher upon completion of 3 month terms of continuous active duty. Device: Gold Star device denotes additional awards. Awarded to all personnel Captain and above who have served in the Naval Special Warfare Development Group. Enlisted assigned to recruiting duty will be eligible to receive the ribbon upon completion of a successful tour of duty ending with promotion to E-6. A service member who extends beyond the basic tour of duty will be eligible for the award upon completion of the extension period. Service members returning for subsequent tours will be eligible for subsequent awards upon completion of each tour. A service member's date of detachment from recruiting duty is considered the end of a qualifying tour of duty. Gold Star Device - awarded when Sailor has received same medal 2 times. Silver Star Device - awarded when Sailor has received same medal 6 times. Bronze Oak Leaf Device - awarded when Sailor has received same medal 2 times. Silver Oak Leaf Device - awarded when Sailor has received same medal 6 times. Valor Device - awarded when Sailor has received same medal 2 times.